Today was the best gardening day of my life ever! As I posted earlier, my potato plants looked so sad. 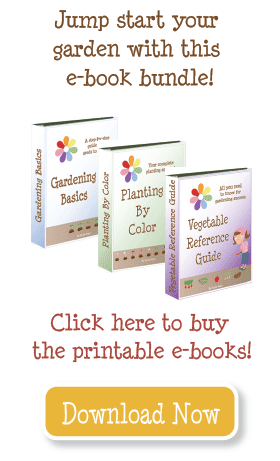 I was tearing out my peas (which finally stopped producing) and thought I would clear some space for fall crops. 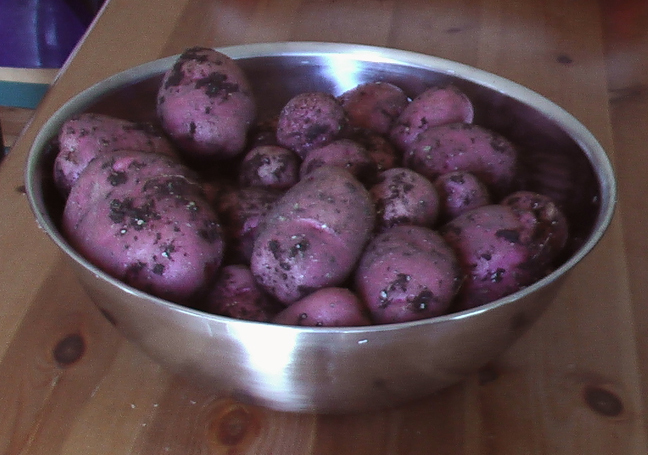 I ripped out 3 potato plants, and on the third–up came a potato. What? I thought they were totally dead and failing. Nope! 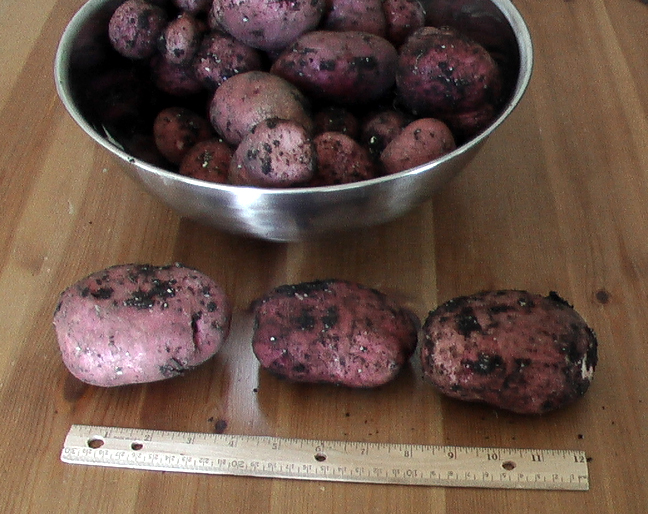 Here are a few 4″ potaotes–HUGE! In all, it was 10 pounds of potatoes. This is from 3 square feet and I pulled them up prematurely. I still have 2 feet I hadn’t rashly ripped out, so I’ll wait to see what I get in the fall.